Need some safety in your investments? Looking for solid dividend stocks with growth potential. Well I’ve got just what you need. Below is a list of four high-yiedling stocks with strong growth potential. Caterpillar (CAT) is world’s largest manufacturer of construction and mining equipment. This is a stock that will continue to outperform. We are seeing a systematic global economic recovery along with increased demand which all bodes well for Caterpillar. The stock has a 4% dividend which is solid especially due to the fact this is a growth stock with potential to go up 20%+. FYI: Dividend is payable in August for anyone who buys the stock before July 20th so make sure not to miss out on this prime opportunity. Viacom (VIA) only recently became a dividend stock. For a stock that is up over 25% this year alone there are many solid growth opportunities ahead. American Eagle Outfitters (AEO) is a solid small-cap retail stock. The company offers a dividend of 3% and is considered undervalued trading at around $11 and change right now. With a PE Ratio of 17 this stock is a solid buy especially if they continue to generate cash expect them to be trading around $16 come 12-months from now. C.R. Bard (BCR) recently raised its dividend along with huge company buy back shows strength heading into the second part of the year. Not a home-run stock but this medical device maker is a solid steady gainer. 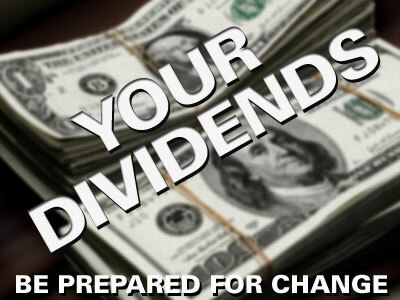 FYI: Dividend is payable on August 6th for all shareholders as of July 26th.